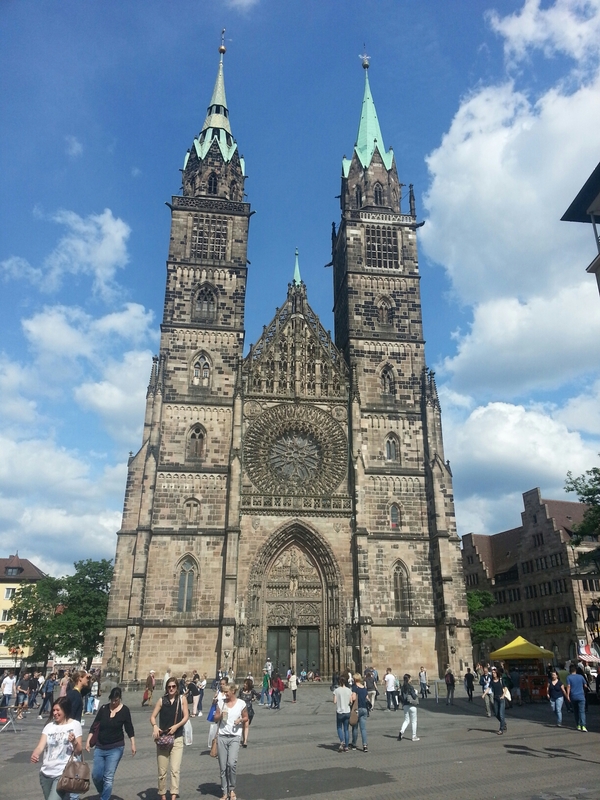 Nuremberg. Every time I hear that I can’t help but associate the city with the post- WWII trials of the Nazi war crimes. The old city center was heavily bombed by the Allies and was 92% destroyed. not because it was militarily significant but because of the psychological value. That is a sobering statistic. Our morning was spent on the approach to the city via the Main Canal. 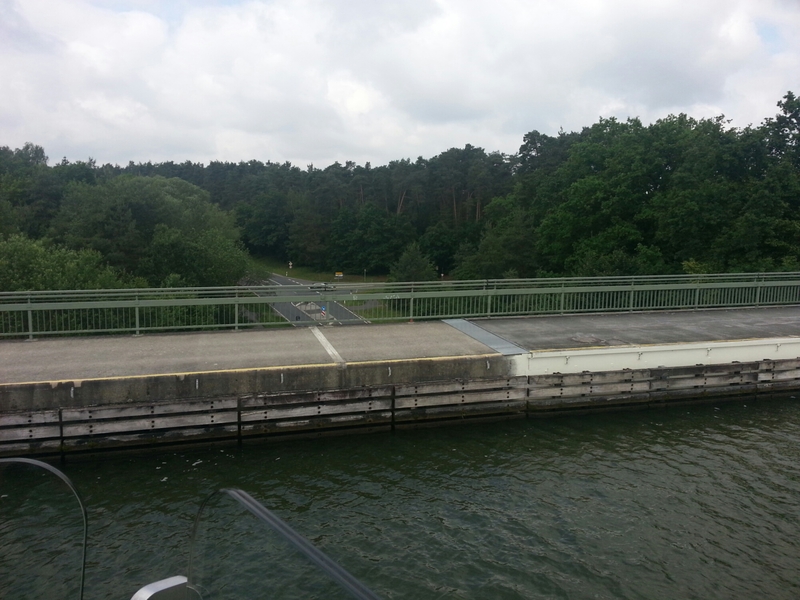 The canal was built to be 20 meters wide, our ship is over 19. It barely fits through the locks. 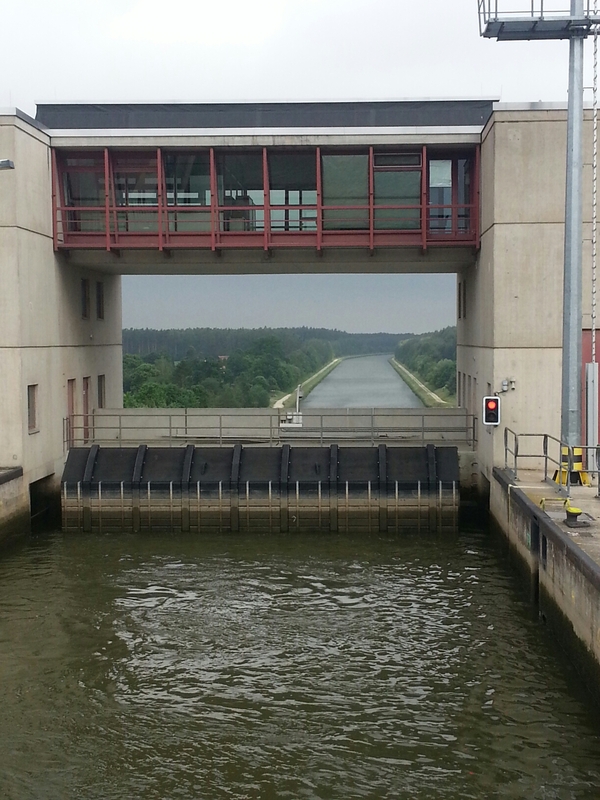 The first three locks drop something like 258 feet. We get extruded out of the locks. 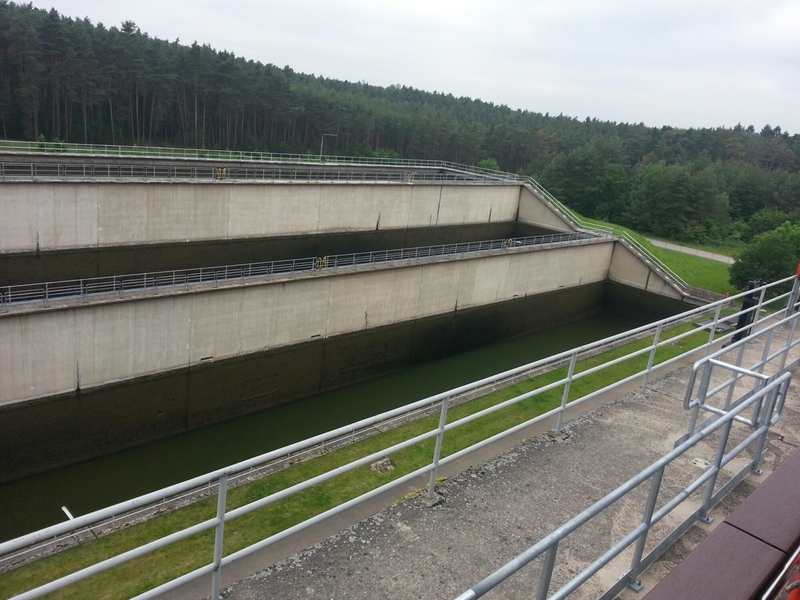 The locks are designed with holding terraces to the side which hold the water instead of releasing it downstream, saving 60%. The canal actually goes over the roads/streams. Imagine going under an overpass and seeing a 430 foot ship going over you. It’s hard to tell from this photo but we are passing over a road. We docked and caught our buses for the city walking tour. 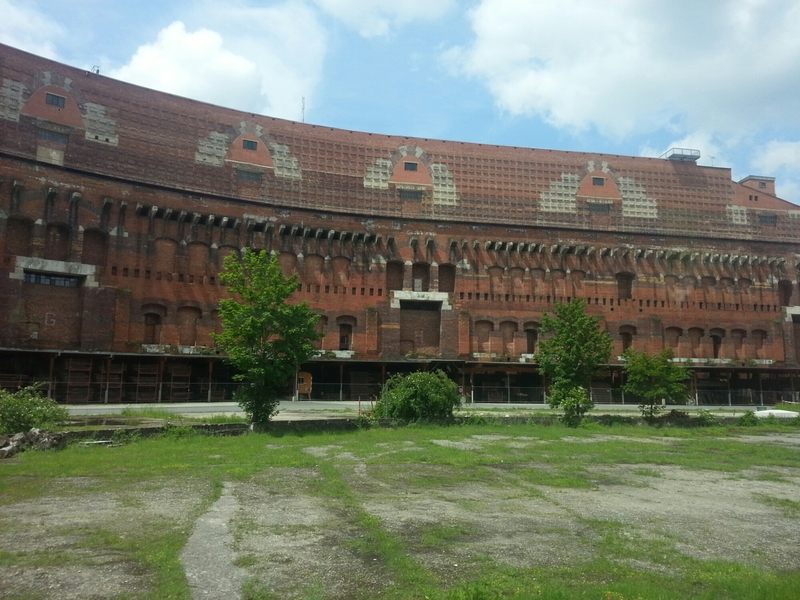 First we drove past a couple Nazi relics, a parade ground and stadium Hitler built to hold rallies and to diefy himself. Another somber thought. This is the inside of a Colliseum replica structure he was building which was never finished before the war started and construction was stopped. Into the city, we had a tour of the Imperial Castle. It was built up on a hillside and had a deep moat which was not intended to be water filled but to funnel attackers into kill zones where China could be trained on them. It also had the entrance gate built on an uphill curved ramp so a battering ram would be ineffective. If they made it in, there was a tunnel with openings to pour hot oil on them. Pretty well thought out. 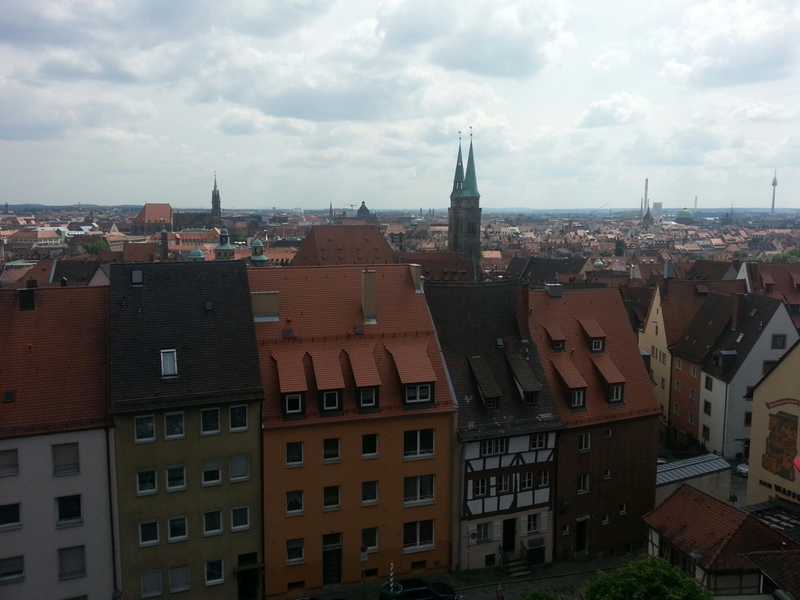 The view of the city from the castle. The steep roofs, designed to shed snow, were mandated to be included in rebuilding to maintain the pre-war look. It was a great city to visit, if nothing else, as an example of how a city could be rebuilt in it’s original splendor after a tragedy.